Enhancing UK coastal security: The need to look beyond vessel numbers. On Wednesday 3rd August, the House of Commons Home Affairs Select committee published its latest report, ‘Migration Crisis’ part of which examined coastal security in the United Kingdom (UK). The report is timely and comprehensive, albeit does not offer many fresh insights for those interested in maritime security issues. Within the report the committee argued that the UK has a “worryingly low” (p. 43) number of vessels to patrol the UK coast, with a fleet of just five UK Border Force (UKBF) vessels, of which only three are currently deployed. This figure, and associated committee description, unsurprisingly gained media attention, and I was asked to offer my views on both Wednesday’s BBC Radio Kent drivetime programme and the evening BBC Mark Forrest show. During the interview with Mark Forrest I explained that I disagreed with the use of the phrase ‘worryingly low’ to describe the current number of UKBF vessels. While I do believe that the UK and specifically UKBF would benefit from having more cutters at its disposal, I dislike short, relatively emotive phrases being pulled out and over-emphasised when describing complex security pictures. Such language use risks over-simplifying and squeezing the space for reasoned debate, subsequently making it more difficult for interested parties to analyse security needs and set-out the appropriate and proportionate policy and operational response. Beyond a concern with language use, the focus on UKBF vessel numbers also represents a problematic approach to evaluating the status of UK coastal security efforts. First, there is the challenge of accessing accurate data. The Home Affairs Select Committee provide (p. 11) a table comparing the number of coastguard and other patrol vessels in European maritime countries. Clearly designed to drill home their argument that the UK is under-resourced in this area, the reader is informed that Italy can draw upon 600 vessels to patrol its 4,722 mile coast. A little disconcerting however is that the committee seem to have utilised Wikipedia as their sole source for a number of the figures in their table, including the Italy figure. A second challenge associated with the focus on vessel numbers is that it encapsulates a rather narrow focus on quantity over capabilities. As readers of this briefing are well aware, vessels vary quite considerably in their capacity, whilst raw fleet numbers do not necessarily correspond with readily deployable assets. A third challenge is that however many vessels you have their value rests quite considerably on the intelligence on which they are being deployed. This is particularly the case when you are policing long coastlines such as in the UK (over 7000 miles) and where no amount of vessels can guarantee the creation of an impenetrable maritime buffer. It is this focus on intelligence gathering and sharing that is ultimately at the heart of effective coastal security. Put simply the security authorities must embrace a risk management approach to maritime security challenges, utilising assets appropriately; a situation made ever more necessary in an era of shrinking public expenditure as currently witnessed in the UK. Overall the UK has a mature approach to maritime security, clearly encapsulated in the National Strategy for Maritime Security and in the National Maritime Information Centre (NMIC), to name just two examples. Operationally, the UKBF can also draw upon information resources well beyond those captured by border force vessels at sea. There are of course areas to improve – as there always is – with the Chief Inspector of Borders and Immigration, David Bolt, highlighting a series of operational weaknesses around the UK’s awareness of General Maritime activities in a recent report. One example of a weakness highlighted by the inspectorate was a failure by UKBF to circulate sufficiently widely Zonal Intelligence Assessments within the agency. (p. 36). Other operational challenges around intelligence gathering are highlighted as being largely outside the control of the UKBF with, for example, the report noting that only approximately 5% of pleasure craft had Automatic Identification System (AIS) fitted (p.31). Such a situation serves as a further reminder of the constraints facing the state as it seeks to gain a fuller picture of activity in the maritime domain. Here, as I will argue in a future briefing, the general public working and living in coastal areas have a valuable and crucial role to play. 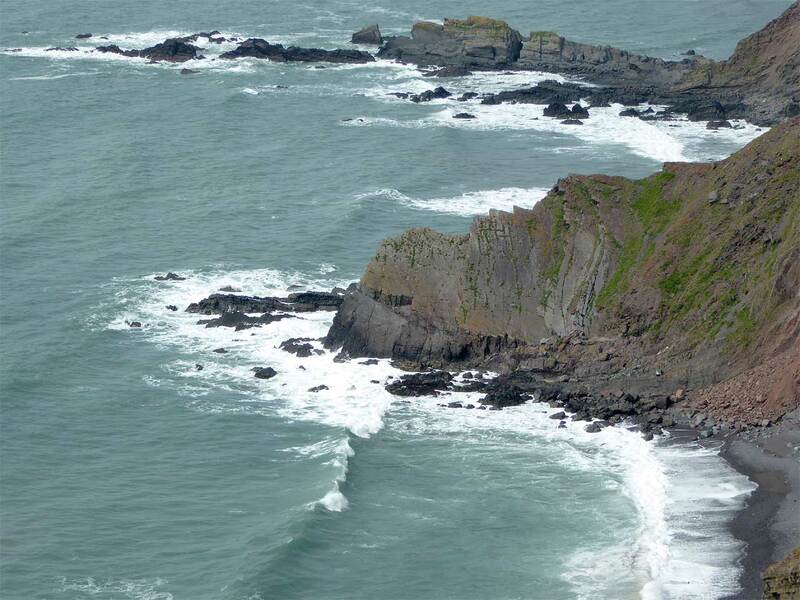 Ultimately the Home Affairs Select Committee’s report should be commended for bringing in to the public domain consideration of UK coastal security. Set against the backdrop of national news coverage of two incidents of migrant smuggling by sea across the English Channel, it is unlikely such attention will diminish any time soon. But with this increased attention comes the necessity to ensure the evaluation of current UK provision in relation to coastal security explicitly recognises the complexity of the maritime domain and as such does not over-emphasise isolated statistics such as the number of Border Force vessels. For those readers with BBC iplayer access, the interviews can be found here (from 1:05:30) and here (from 1:14:00). This entry was posted in MarSec by James. Bookmark the permalink.